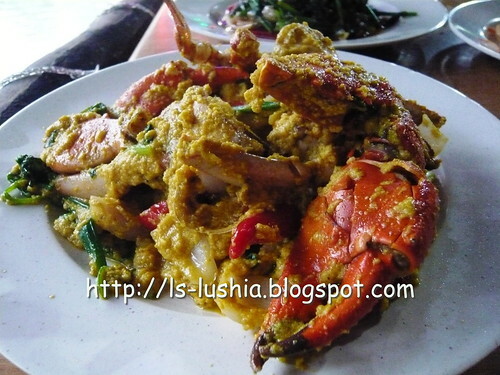 We are leaving Penang Island and planning to have seafood outside Penang. Batu Kawan? or??? 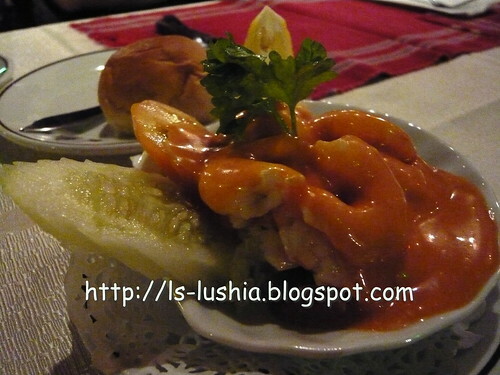 Heard so much of KHUNTHAI and why not we give it a try?? Off we go ..... to Butterworth adn after a few wrong turns, we reached! Aren't you sick, Lu Shia? Ohhh yes I am but not for now! I am feeling much better! 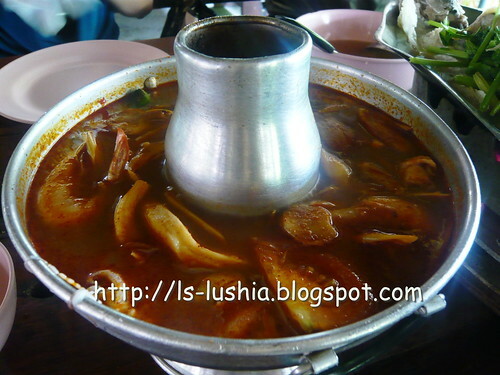 And we started our lunch with, hot tom yam! Nice but I have expected something more authentic- not to creamy, distinct hot and sourish. Fresh enough, taste wise- can we add a little more chilli here? Okay, we requested for something not so spicy, cause there are two non-spicy guest. Apparently only me and sis is enjoying this dish cause we love bitter bean! Tasted good too. Ahhhh... a nice one! 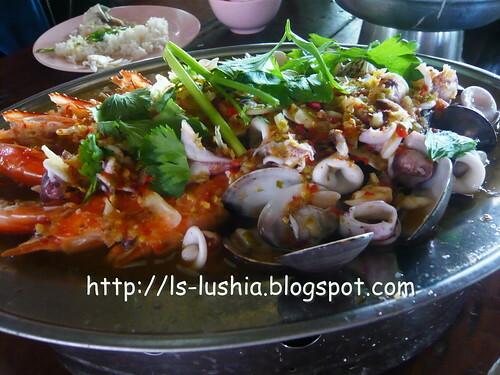 Steamed lala clams, succulent squids and juicy prawns with lemon and crushed chilli peppers and garlic. 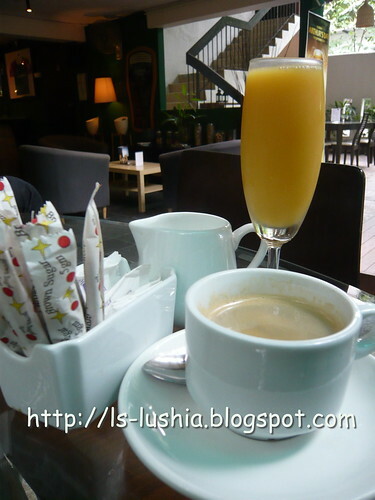 Refreshing, appetite stimulating and satisfying! 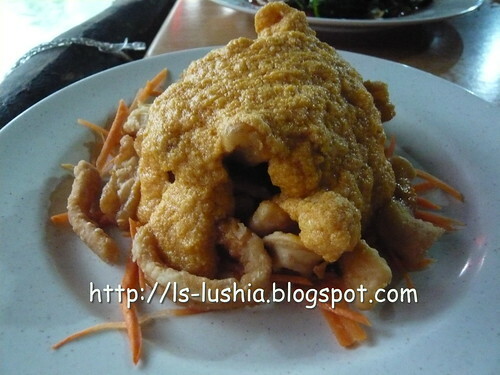 And finally here comes our mouthwatering fried mee hoon with salted fish served with sambal belacan. Aromatic! That's about it, it's always easier to express the thoughts especially when we are having something promising. 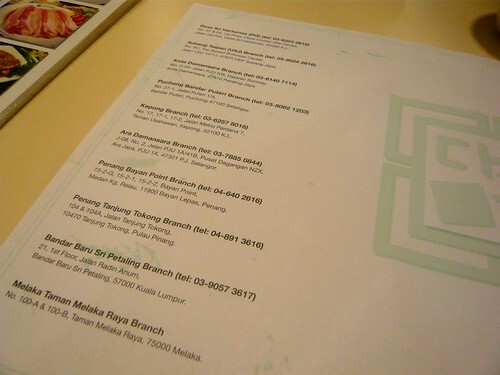 By the way, they do have 2 branches in Selangor too! Have you tried? Do share your experience with me! And off we go...heading back to KL! After dining at The Ship, we went for a fish spa and then back to hotel. Didn't travel much that day and because it's kinda difficult to find a clinic operating during public holiday.We traveled from Batu Ferringhi to Bayan Lepas and finally found a lousy clinic. It's relieve though as Panadol ain't helping much. Because I am sick, because it's too hot and stuffy out there and because I am weak... no street foods or hawker stalls food!! 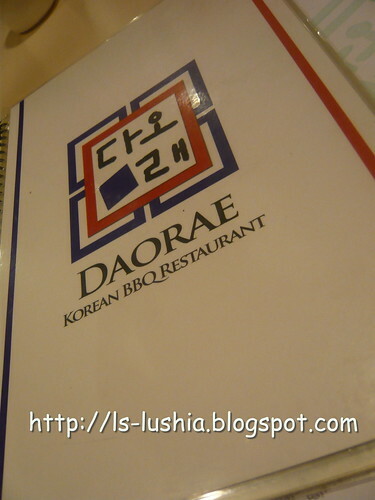 We ended up at Daorae Korean BBQ Restaurant. Banchan refers to various of small side dishes served in Korean meal. 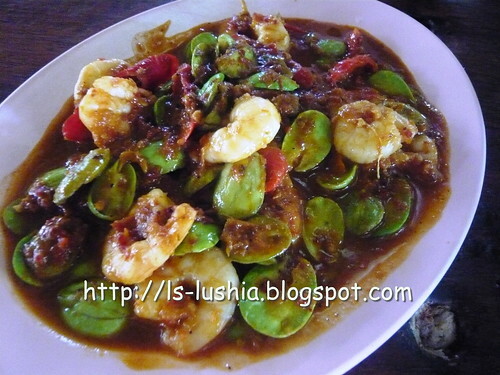 This small dishes are served as a shared dishes before the main course is served. The most famous banchan is kimchi (fermented vegetables with chilli pepper and salt). Others commonly sevred would be Korean style potato salad, Kimchijeon (pancake with Kimchi) or Kongnamui cold boiled bean sprouts with sesame oil. Konganamui is categorised as Namui one of the side dish where vegetables are steamed, marinated or stir fried usually seasoned with sesame oil, salt,garlic, pepper etc. Sam Gye Tang literally means ginseng chicken soup is a variety of Korean soup- a whole young chicken boiled with Korean ginseng. 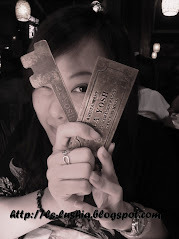 Sam Gye Tang at this restaurant are prepared with ginseng, dates & garlic. Tasted good but would be better if the ginseng taste is stronger. 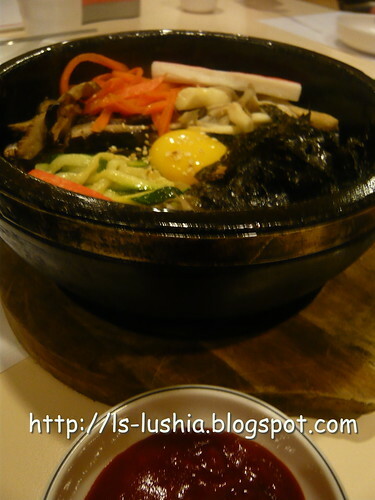 The very common rice dish of the Korean cuisine. Fresh seasoned vegetables and steamed rice topped with fried egg and Korean chilli paste served in steaming hot stone bowl. I taxed a scoop of it, just nice! A common cold noodle dish in the Korean cuisine. Combination of spicy seasoned vegetables with fine slices of pear topped over cold buckwheat noodles served with spicy chilli paste and sesame oil and a boiled egg. Okay, from the menu we understand that this dish is not something spicy. They ordered this thinking that I can have some along since it isn't the right time for me to have something spicy, I was having a bad sore throat too. When the dish is served, we were all surprised. I was too greedy, I had some of it. It's a great one!! Wish I could have more of it!! And here's a bowl for the sick!! Fresh vegetables and seafood served with Korean noodles in soup. Had a few mouthful of it and there it goes.... can't finish it. Not because the noodle dish fails to satisfy me. It's all because, I need a good rest. 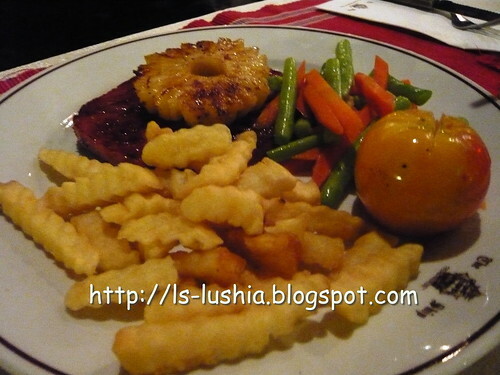 The Ship- The Best Steak in Town ??? 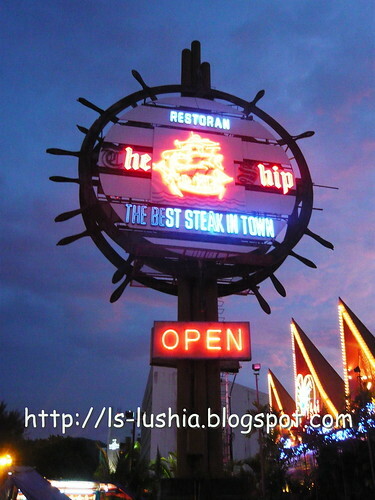 They used to be good like 7-8 years ago and that was my last visit until the recently. But, this time we visited The Ship at Batu Ferringhi. We were all excited upon reaching Batu Ferringhi as we were staying at that area. Spotted The BIG SHIP and we decided to dine in. With all the excitement, we placed our order. And Guess what?? We waited for about 30 minutes or so and soon noticed that patrons that came in later than us are already enjoying their food. "So Captain!! Where's our food?? " "Sorry, my part timer has forgotten to place in your order." Continue... waiting for another 15 minutes!! Sis was asking brother in law, why aren't you annoyed and why didn't you complain?? He replied- "We have your sis here, she will do that!! " 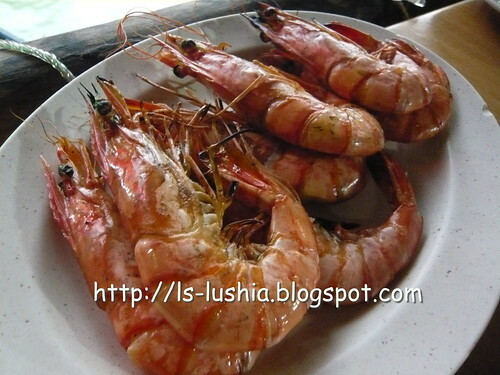 Basically it's just a few shrimps with thousand island sauce. Nothing special and appetizing though. TGIF's are much better. 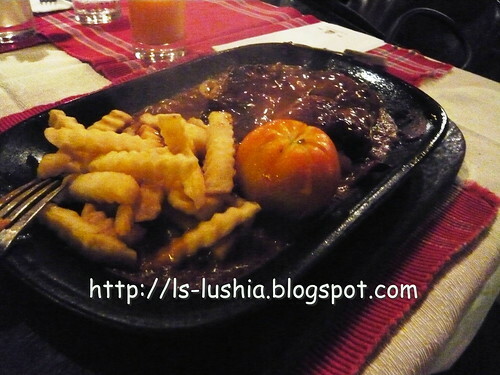 Anyway, they claimed that they have the best steak in town and not appetizer though. 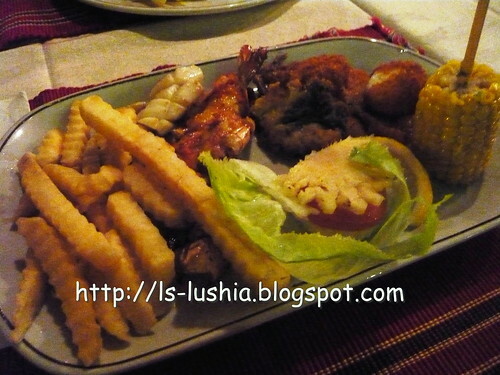 Combination of grilled king prawns, fish fillet, grilled squids, fried soft crab and fried scallop served with french fries and mini salad. Just a piece of thick ham being grilled. Normal, not appealing at all. Tender chicken perfectly grilled and topped with gravy served on a sizzling hot plate with french fries and a bowl of salad. The only order that can be considered indifferent. Not very good, not very bad. 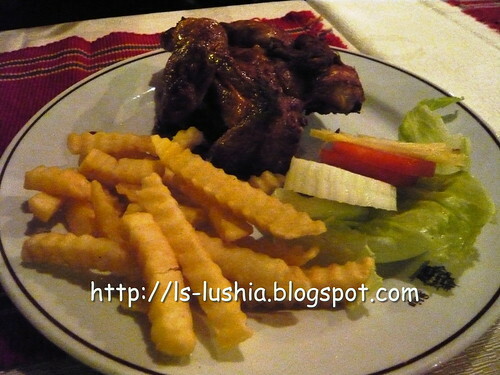 Deep fried whole spring chicken marinated with our chefs special recipe served with french fries and mini salad. 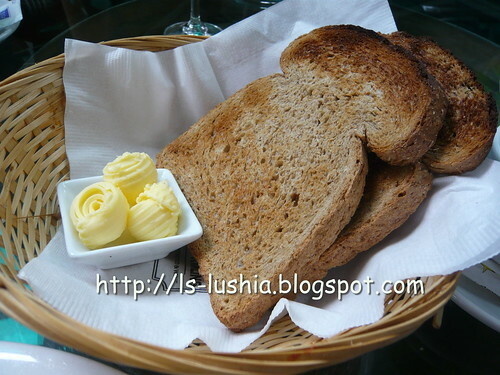 The special recipe is so special that it's tasteless!! Poor sis..... a whole tasteless fried spring chicken is what she had! The fish farm isn't anywhere near to my place, been here a few times but it's always crowded and eventually we didn't dine in. We were early this round, reached around 6 pm or so and there are plenty of unoccupied tables. Finally!! I was too hungry and started off with a dessert. A good try indeed. 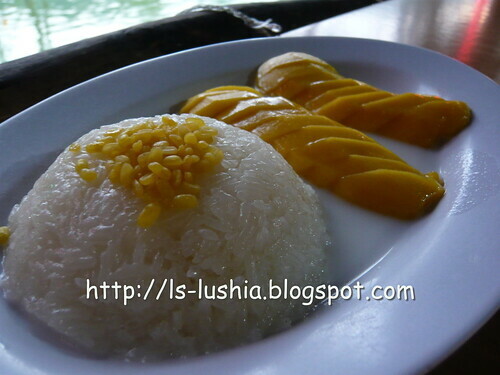 Soft glutinous rice with sweet smelling Thai mango surrounded by a "bath" of coconut milk. 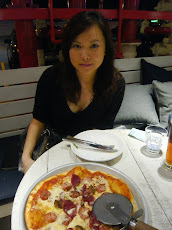 We thought the waiting time would be about 30 minutes or so, but surprisingly food was all served within 15 minutes. 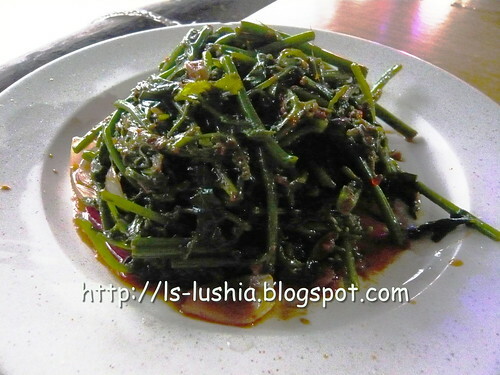 It's one of the top rank dish, as recommended by the attendant that takes out order. Below my expectations. 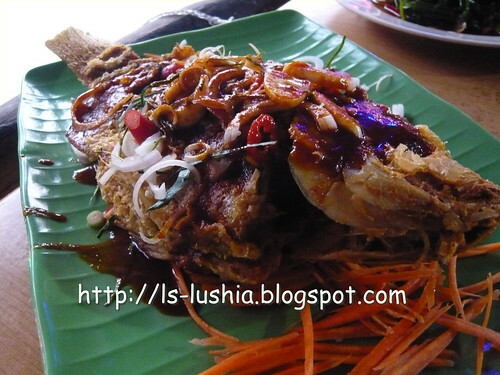 I wanted to have something crispy and crunchy hence suggested to opt for fried fish. 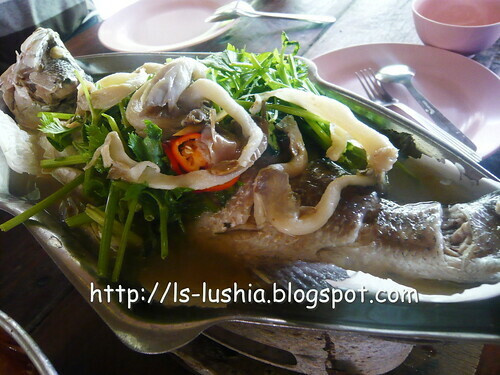 Love the taste of munching the fried fish with thai sauce and fresh cut lemon grass- aromatic! But, it's unlikely that you can taste much of the fish flesh. The most preferred dish of the night! No fancy cooking style and yet pleasing enough. Anyway....am happy that I visited. I was expecting a bright sunny Sunday morning, apparently, it doesn't seems to be. Anyway, the weather isn't a concern and (only missing part- no alfresco dining ) other than this, I had a splendid breakfast today! Where? It's: Jarrod & Rawlins- Purveyors of fine food and wine- a cafe, a bar, a restaurant and also a delicatessen!! 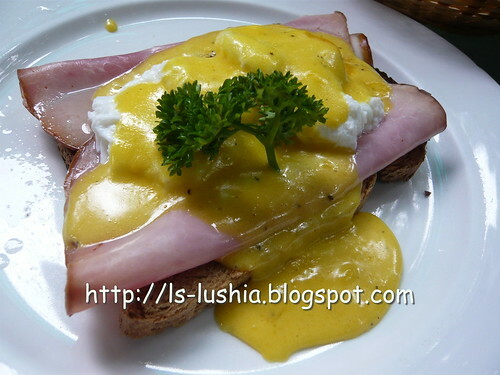 Two soft poached organic eggs with choice of bacon, ham or smoked salmon on toast topped with Hollandaise sauce. 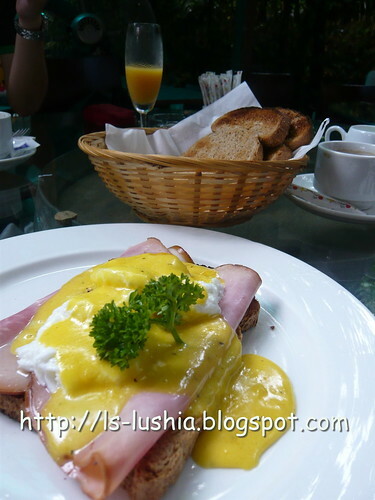 Toast with butter- comes with J&R's Egg Benedict "Indulgence"
The combination of the tasty ham and the runny egg yolks is pretty satisfying. Love the ham- it's good! 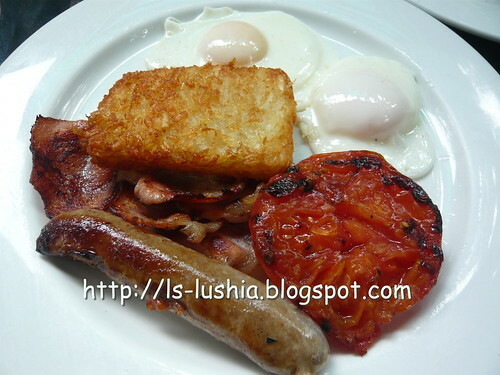 Two organic eggs sunny side up, with sausage, bacon, grilled tomato, hash brown, toast or fried bread. Do visit J&R if you are craving for deli meats-well marinated, perfectly grilled and what else? 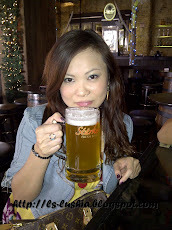 I shall return for more- probably during happy hour and some finger food? Dinner?? I want it all!! Gonna cut short with my post- am accumulating more and photos recently. Well, the spirit is willing, but the flesh is weak- What can I do? ?